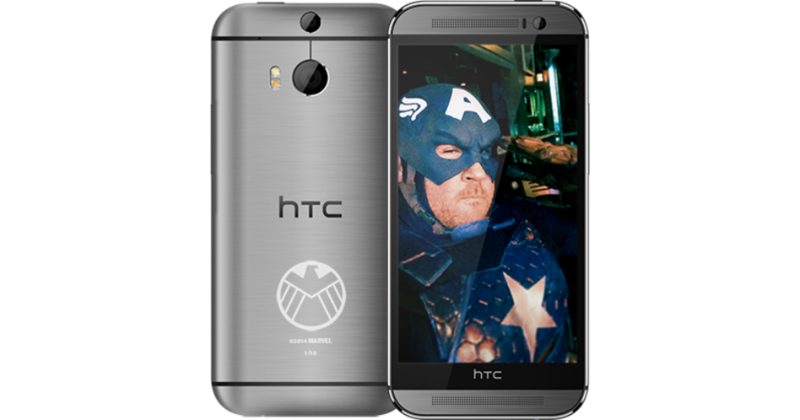 Instead of a perfectly-placed Iron Man promotion (the phone is metal and RDJ is a paid spokesperson), HTC has decided to instead go a different route, teaming up the folks behind the new Captain America movie to produce a special limited edition S.H.I.E.L.D. One (M8) smartphone. The One (M8) comes with a special S.H.I.E.L.D. logo along its backside, and appears to come packed with a few Captain America wallpapers. But don’t worry, the wallpapers can be yours too, if you so choose. If this S.H.I.E.L.D. One (M8) interests you, HTC is giving one away through a special promotion, in which folks need to simply send in a “super selfie.” Make yourself look like a hero of sorts, and if it’s awesome enough, you might win yourself a very limited edition phone. I still think an Iron Man edition One (M8) would have been much sweeter. Regardless, it doesn’t appear that this device will be on sale to the general public, so Super Selfies might be your only hope at getting one.